Welcome to the next installment of our regular update where we report on research from the world of immunology, highlighting work that has hit the headlines over the past few weeks. Long-term spaceflight can have a range of harmful effects on the human body – from lowering bone density and decreasing muscle strength to causing psychological stress. It was generally assumed that the immune system was also compromised following space travel; however recent work published in the Journal of Applied Physiology suggests that this may in fact be one thing astronauts don’t have to worry about. Using blood samples collected from crew members before, during and after completing a 6-month mission on board the International Space Station, researchers measured the numbers of B-cells to assess the fitness of the immune system. B cells are a type of white blood cell which are a key part of the body’s defence against infection, circulating round the body and detecting harmful pathogens. Once a pathogen has been found, the B cells are responsible for producing antibodies against the invader to signal to the other cells of the immune system where to attack. Results from the study suggested that the stint in space did not significantly alter the normal levels of B cells or their infection-fighting ability. 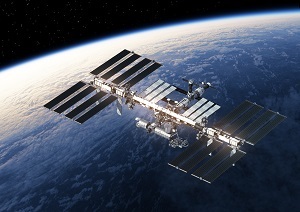 Dr John Campbell from the University of Bath, who was part of the team behind the research, explained: “This is the first study to comprehensively show that long-duration spaceflight in human astronauts has limited effect on B cell frequency and antibody production. People living with chronic fatigue syndrome (CFS) experience extreme exhaustion, which does not improve with rest. The cause of this illness is not yet fully understood, although the immune system is suspected to play a part. Recent research from King’s College London based on a model of the disease supports this claim, suggesting that CFS could be triggered by an overactive immune system. Researchers studied patients undergoing interferon-alpha (IFN-α) treatment for hepatitis C, a new approach to modelling how CFS develops. IFN-α works by stimulating the immune system in the same way that an infection does; patients often experience side-effects similar to having the flu, including feeling fatigue. In some cases, patients go on to develop CFS-like symptoms, continuing to experience fatigue even once IFN-α treatment has finished. The study, published in Psychoneuroendocrinology, found that patients with persistent fatigue had significant differences in their immune system compared with patients who recovered normally. This included higher levels of IL-10 and IL-6 (messenger molecules involved in stimulating the immune response) in response to the interferon, and notably, higher levels of IL-10 even before receiving any IFN-α treatment. Monoclonal antibodies can recognise and target a specific epitope (protein segment) on a pathogen with extreme precision. Harnessing this natural ability of the immune system for therapies has been a great success in tackling disease areas such as cancer and autoimmune conditions – and now these ‘best-seller’ drugs could prove hugely beneficial in combatting fungal infections as well. Researchers from the University of Aberdeen are the first to clone anti-fungal antibodies directly from humans who have previously recovered from an infection of the fungal species Candida. Fungal infections are common and are usually minor, responsible for everyday ailments such as athlete’s foot for example. 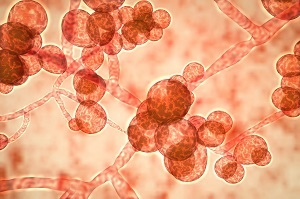 However, once Candida spreads to the bloodstream, the infection can be deadly. These killer infections are difficult to spot and are becoming increasingly resistant to treatment, so developing new anti-fungal approaches is vital. The research, published in Nature Communications, showed how the cloned antibodies were useful in both diagnostic tests as well as providing laboratory mice with protection against Candida infections in the bloodstream. This approach is particularly exciting as it sidesteps any translational difficulties that arise as a result of using antibodies sourced from mice rather than humans.